Today the railway stations often use X-ray Inspection System or other portable device to check whether the passengers have brought contraband goods with them. If so the X-ray Baggage Inspection System plays an important role in keeping and providing a safety environment. 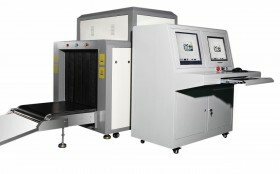 One strong point of this X-ray Baggage Inspection System is that its tunnel size is 800mm wide and 650mm high, so the space is large enough for large luggage to get through. And the 230kg max convey load make it possible to carry heavy baggage. Besides the wire resolution is 0.101mm, and this device could penetrate a 34mm armor plate. Beyond this advantage, the tube current can be adjusted from 0.4MA to 1.2MA, and the anode voltage can also be adjusted from 100KV to 160KV. The Generator cooling/working periods Sealed oil bath with forced air is 100%. Seen from safety aspects it has received the Test Report from Inspection Center of State Security Ministry, CE certificate, ISO9001 certificate-German TUV, ISO14001 certificate, Radiation safety certificate from Chinese Government. So it is a reliable product. If you are in need of this kind if device, this one is a good choice and if you want to know more information, just come to detectotall.com. Taking action and add one to your chart. The product has a wide range of usage and easy to operate. Good! As a old customer of yours, I think your product is excellent with both good quality and sound price.